Please note that the city of Dortmund will again levy an accommodation tax as of 01.11.2014. The accommodation tax amounts to 7.5% of the accommodation price and is levied in addition to the room price. Accommodation that is exclusively for professional reasons is tax-free. 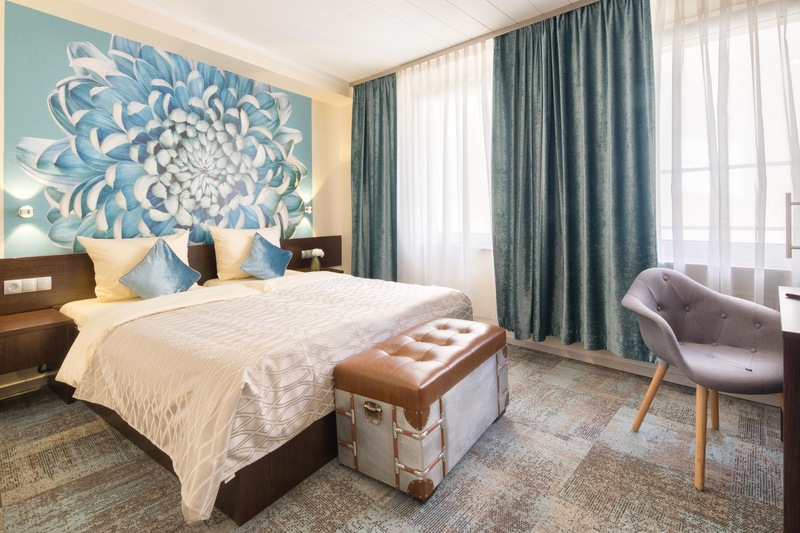 If your booking is an official overnight stay, you can send us a confirmation on business paper from the employer by mail / fax or post that you are professionally in Dortmund. As soon as we have received this confirmation, you are exempt from the accommodation tax. This original will remain in the hotel and will be presented by the hotel to the Dortmund City Cash Office. For groups, e.g. also conference groups, a summarized certificate (see above) is sufficient for the hotel. The hotels must present this certificate to the Dortmund City Cash Office! You are welcome to give your proof to your employee in the original, fax it to us or send it as an email attachment. The self-confirmation of self-employed persons will be accepted subject to subsequent inspection. However, we will also be happy to hand you a form on site, which you can complete before your departure. German companies can send the hotel a declaration of assumption of costs after consultation. If the employer has declared the assumption of costs in writing before arrival, stating the complete business address, the 7.5% accommodation tax for the city of Dortmund will not be charged. The name of the guest as well as his arrival and departure dates must be noted in the cost transfer. Companies or business travellers who frequently have to stay overnight in Dortmund can submit a general application to the Stadtkasse Dortmund/Steueramt for permanent exemption from accommodation taxes for their respective company. You will then only need to submit a copy of the permanent exemption to us once and further bookings of your company would be automatically exempted. Should you not be able to present one of the above mentioned certificates in spite of having to spend the night on business, we are unfortunately obliged to charge you the 7.5% accommodation tax. All Dortmund hotels are legally obliged to collect the 7.5% accommodation tax for the city of Dortmund and to forward it in full to the city of Dortmund. Information on the accommodation levy can be obtained from the City of Dortmund: City Treasury Department and Tax Office. Changes to the accommodation tax can be made at any time by the Dortmund tax office!